Knowledge : Komon - KIDORAKU Japan - What a Kimonoful World! 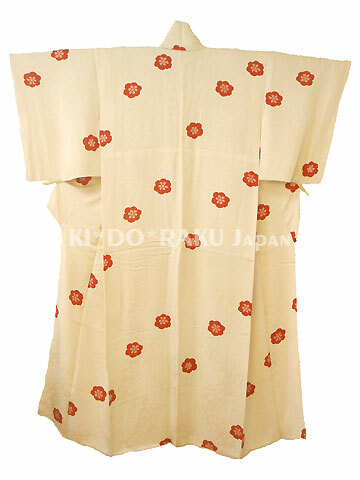 It's very popular as a street cloth (townwear) now. It's worn by women for going out, casual parties, and so on. "Ko" means "small", and "Mon" means "pattern". But, even if it has a large pattern, stripe or check, it's called "Ko-Mon". It's more formal than ordinary "Komon", it's almost same as Iro-muji.